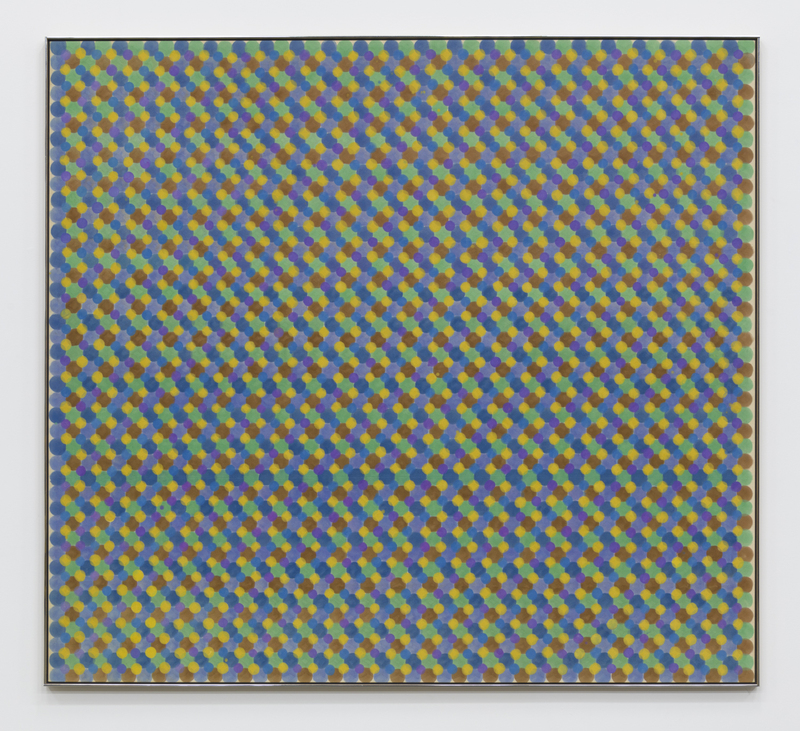 UTA Artist Space is pleased to present the first Artist Spotlight featuring paintings by Thomas Downing from 1960 – 1979, opening on Tuesday, August 28th. 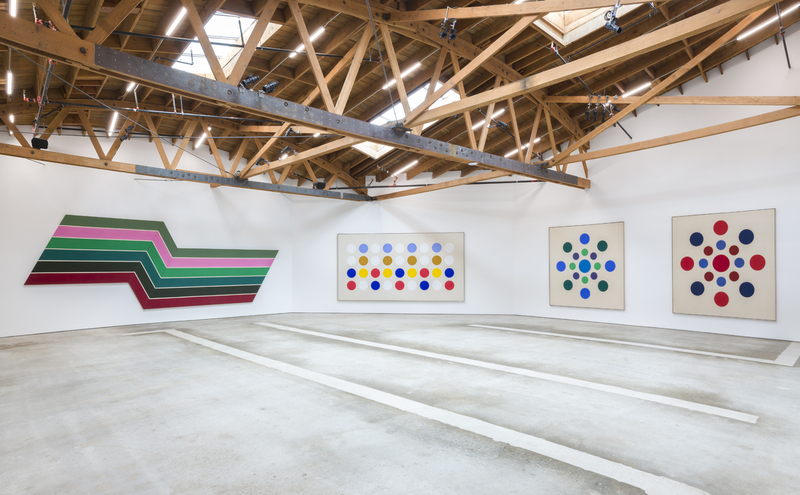 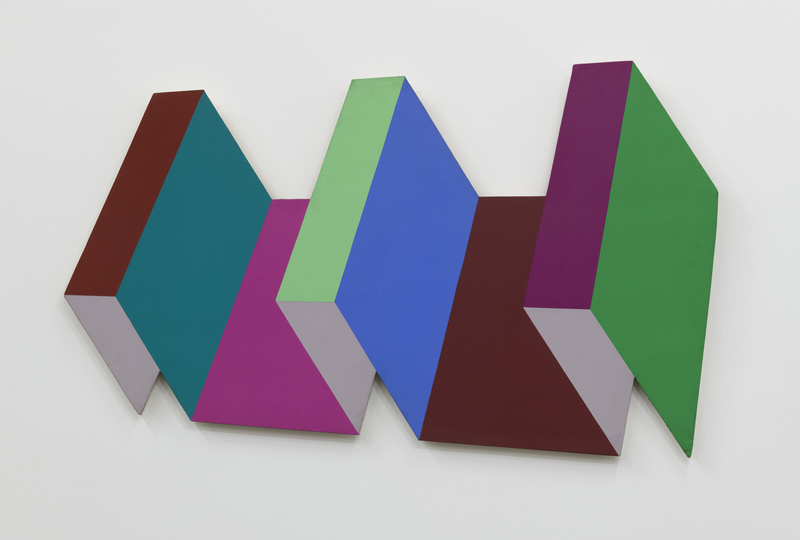 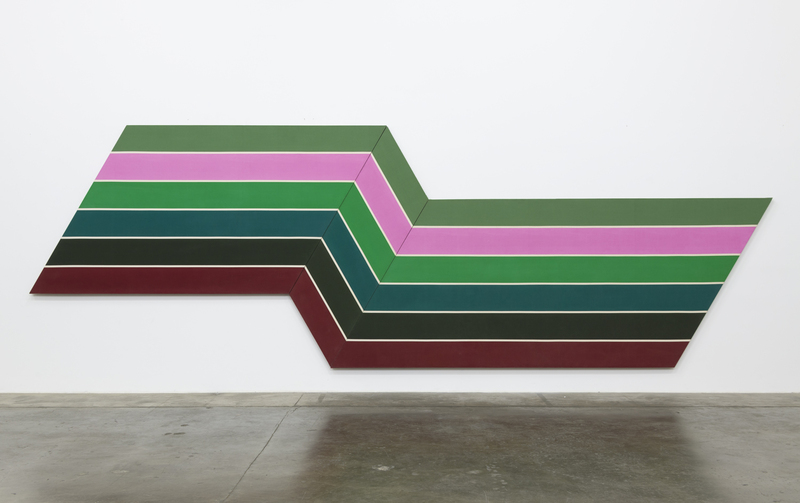 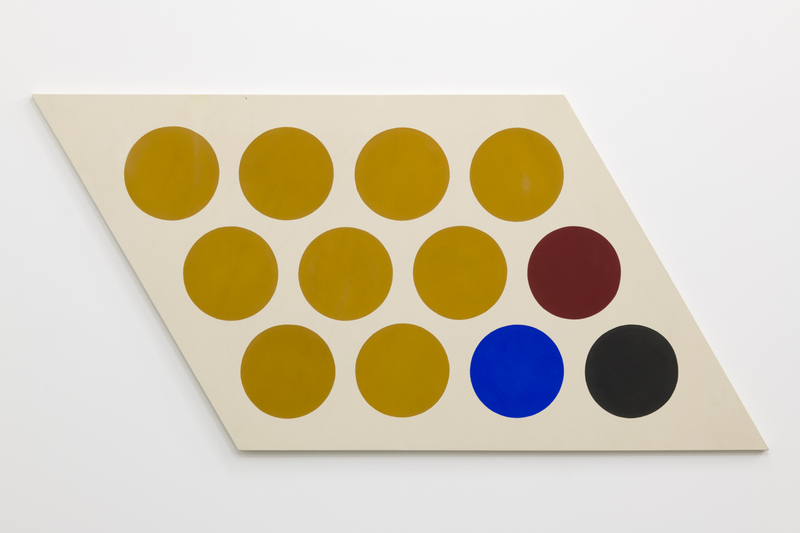 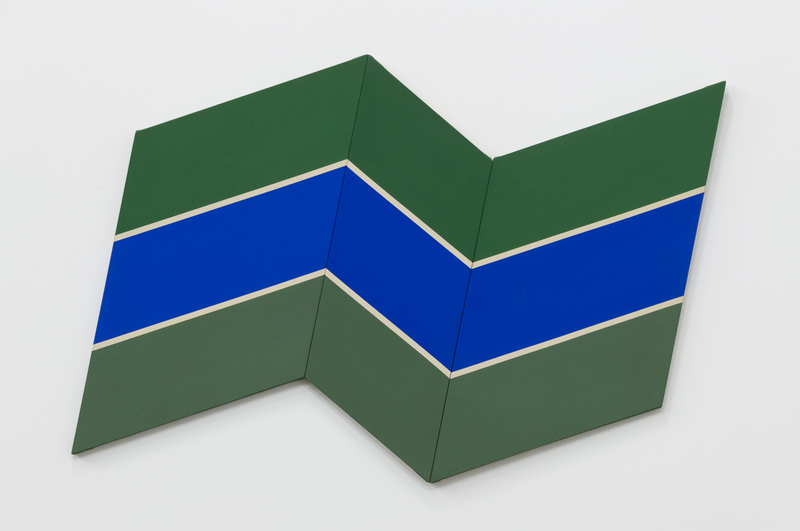 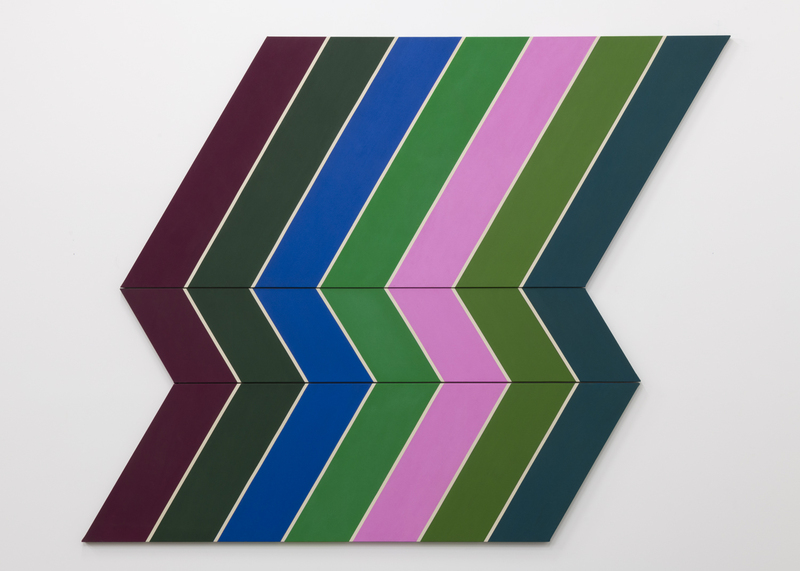 A leader of the Washington Color Field School that included Morris Louis, Gene Davis and Kenneth Noland (his teacher and mentor), Downing explored formal relationships between space, color and shape. 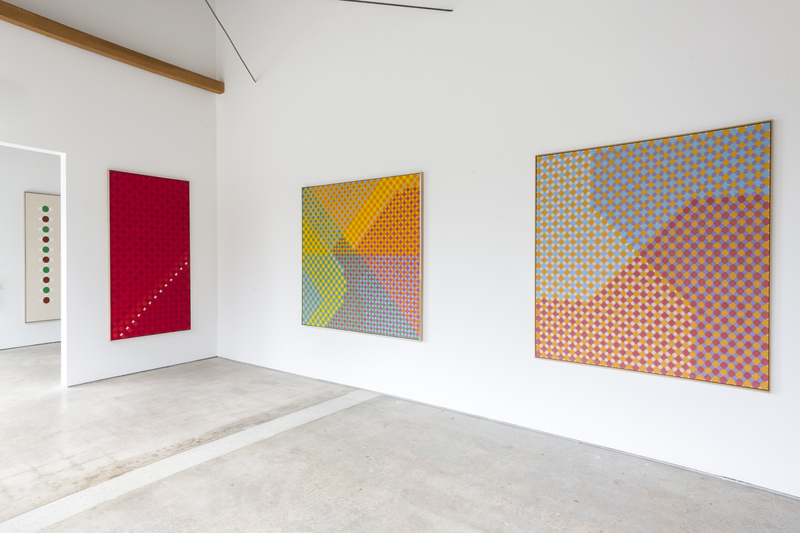 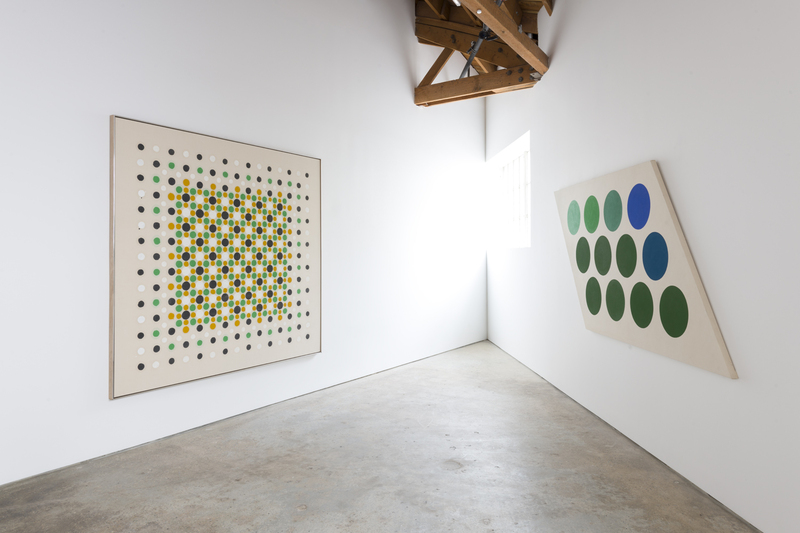 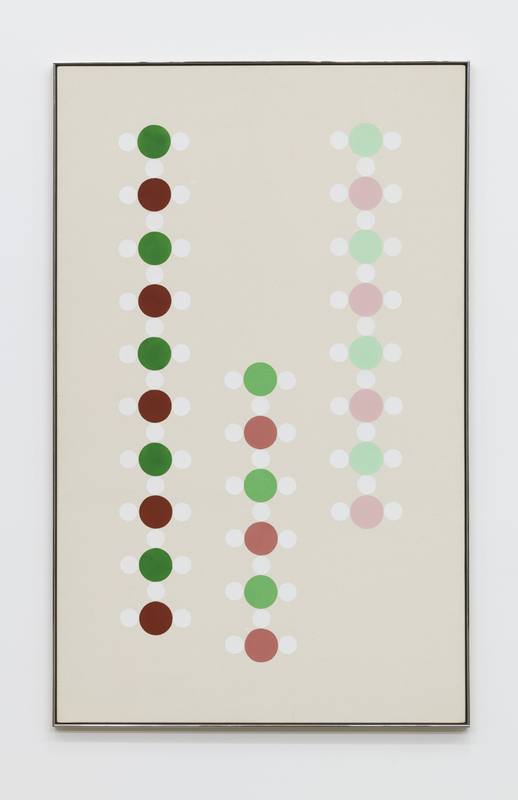 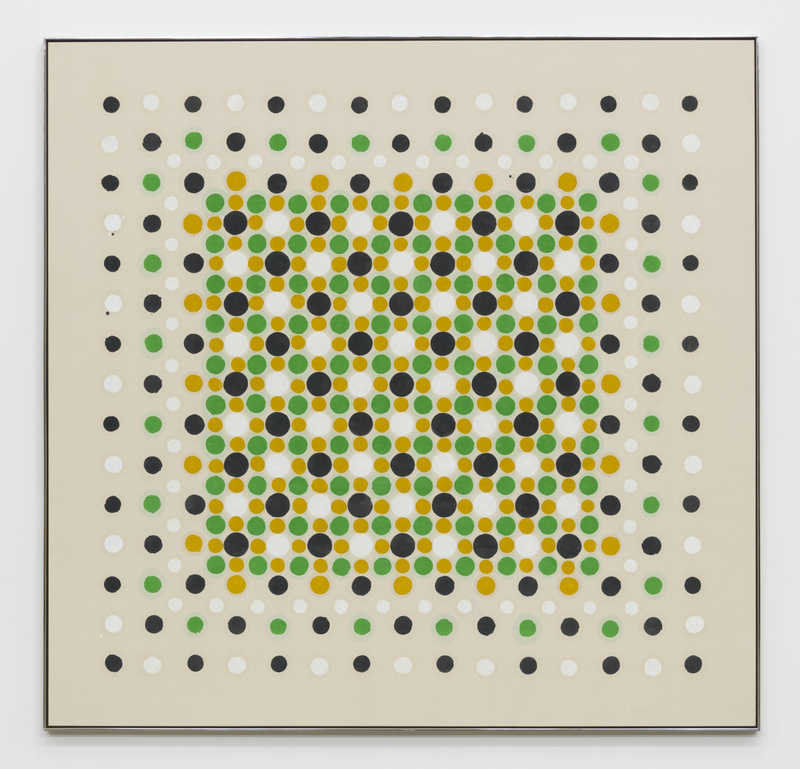 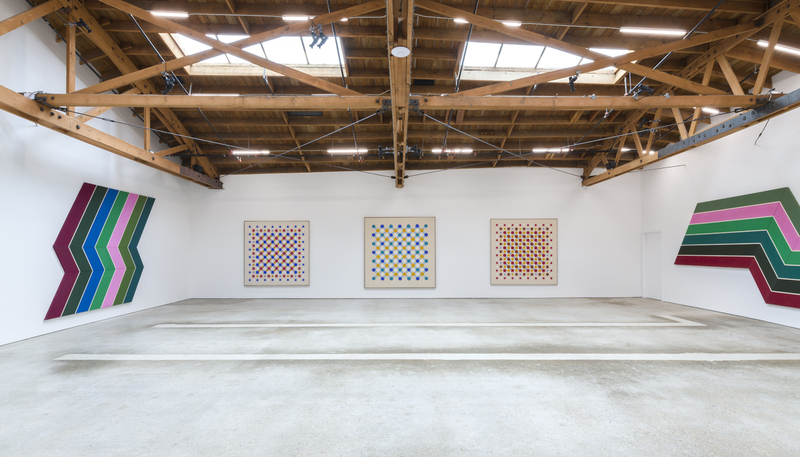 In his series of “Dial,” “Grid,” and “Dots” paintings he produced poignant abstract images that instill a sense of movement, while also suggesting infinite space based on geometric systems. 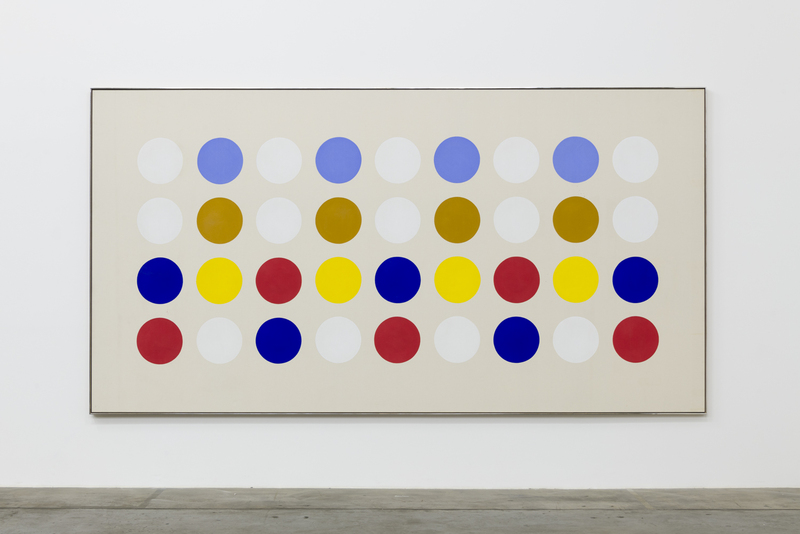 Influential art critic Clement Greenberg included Downing’s “Dial” paintings in Post Painterly Abstraction, the landmark exhibition at the Los Angeles County Museum of Art in 1964. 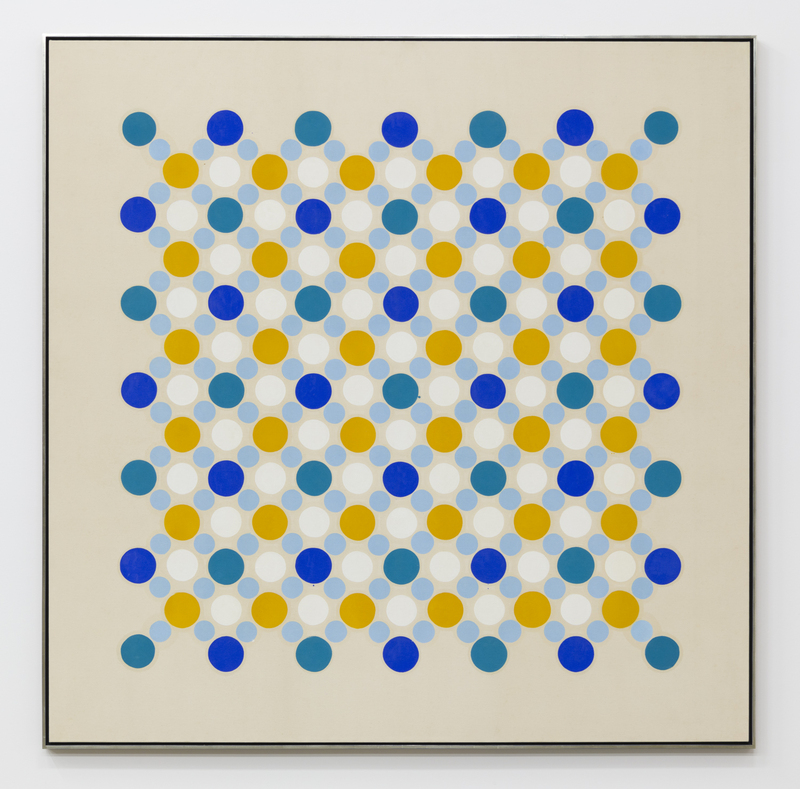 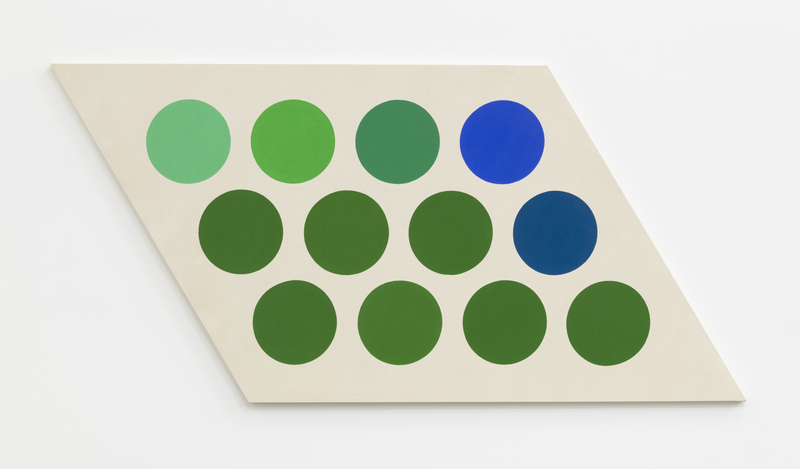 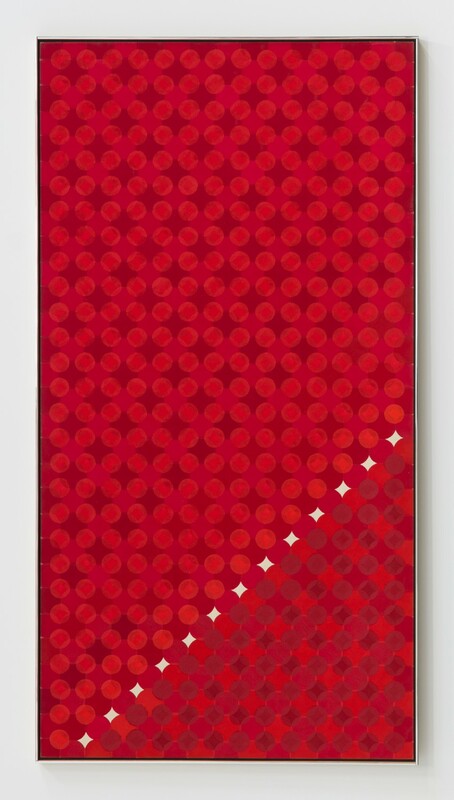 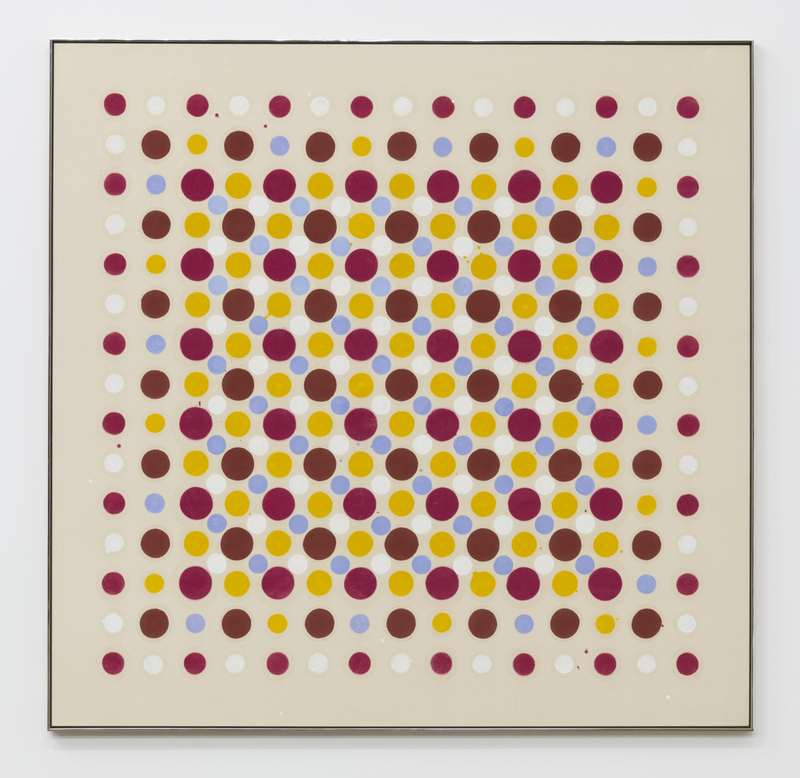 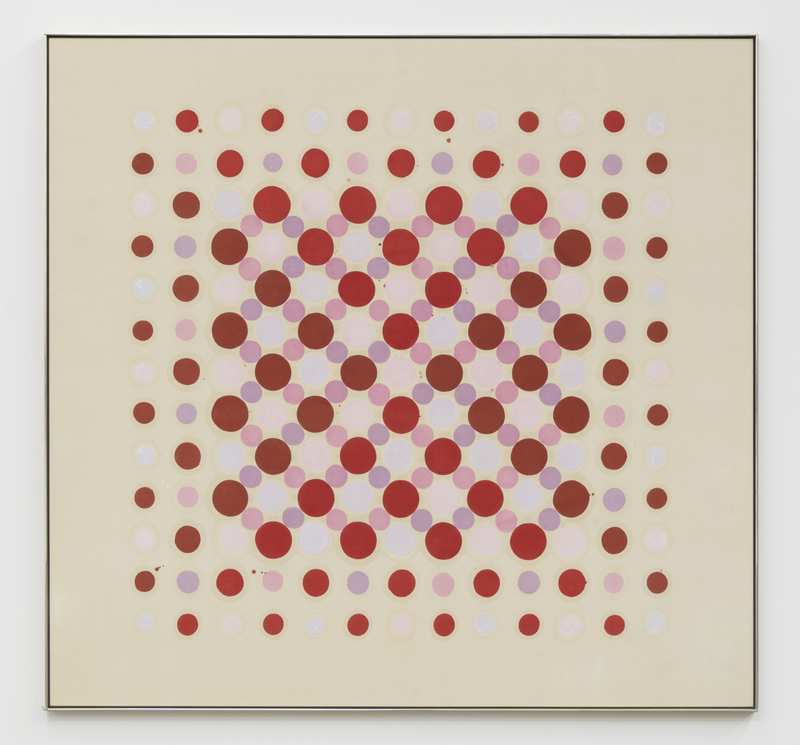 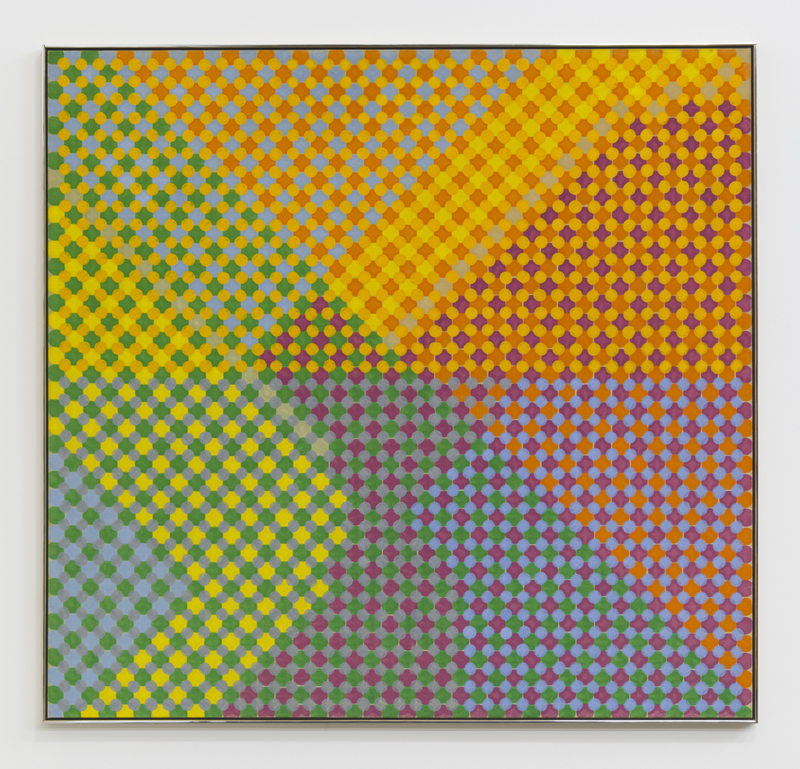 Downing’s compositions used simple circles in pulsating patterns to elevate color, making it the sole subject and object in his work, which eventually shifted from traditional rectangular paintings to uniquely shaped canvases. 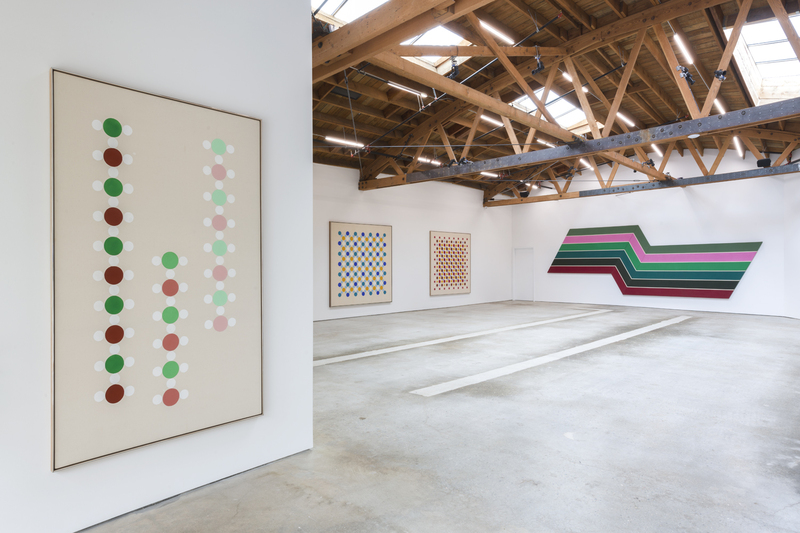 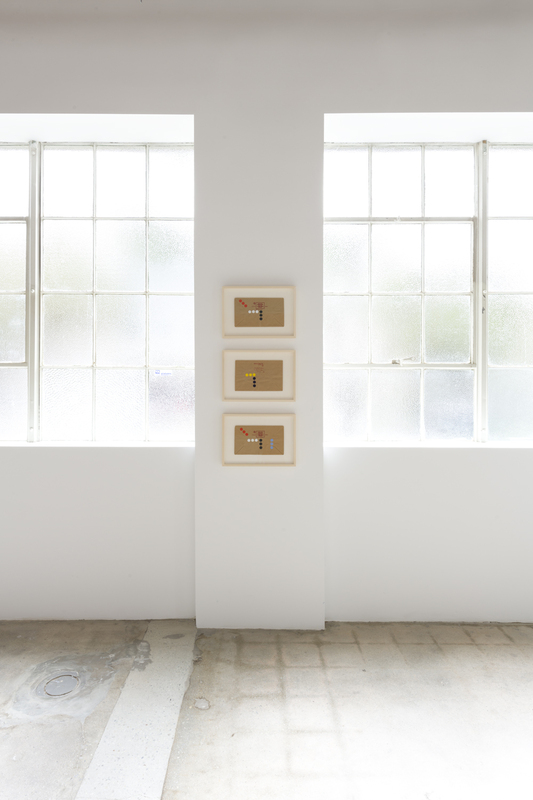 Despite his meticulous, mathematically based process, the handmade nature of Downing’s work along with the paintings’ subtle irregularities signify that the effects of structure and color were more important to him than precise execution. 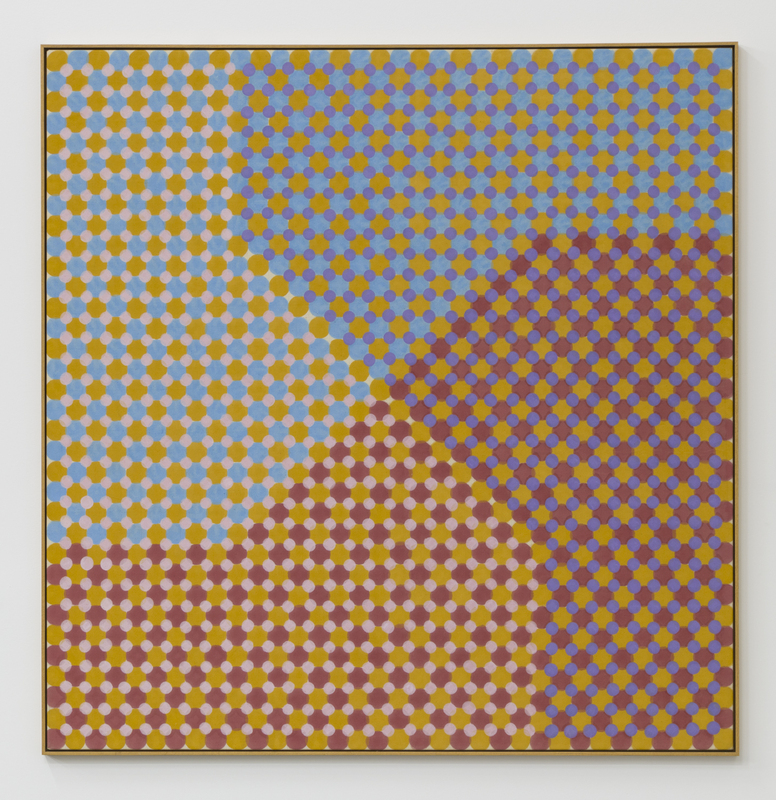 Born in Suffolk, Virginia, Thomas Downing (1928-1985) studied at the Pratt Institute in New York before settling in Washington D.C. His work is held in major museum collections, including the National Gallery of Art, Washington, DC; The Whitney Museum of American Art, New York; the Norton Simon Museum, Pasadena; the Phillips Collection, Washington, DC; and the San Francisco Museum of Modern Art.